FURNISHED ''Ventana'' model. One bedroom/one bath. Spotless. 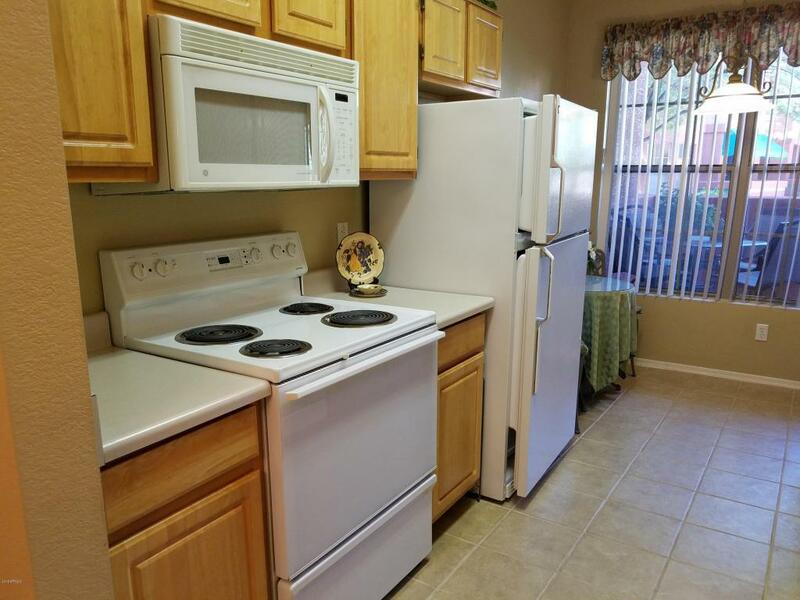 All appliances and furnishings included. All tile flooring except carpeted bedroom. Neutral paint. Some upgraded lighting. Code/key entry. Large patio. LaSolana Condos boast their own heated beach-entry pool, spa, clubhouse, theatre, lending library, hair salon and resource room (w/computers). 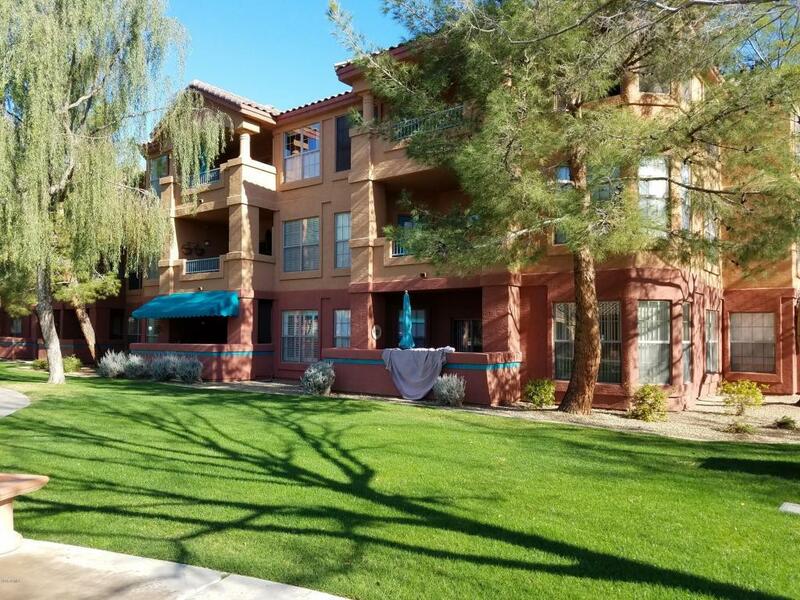 The wonderful amenities of Sun City Grand are also part of ownership. 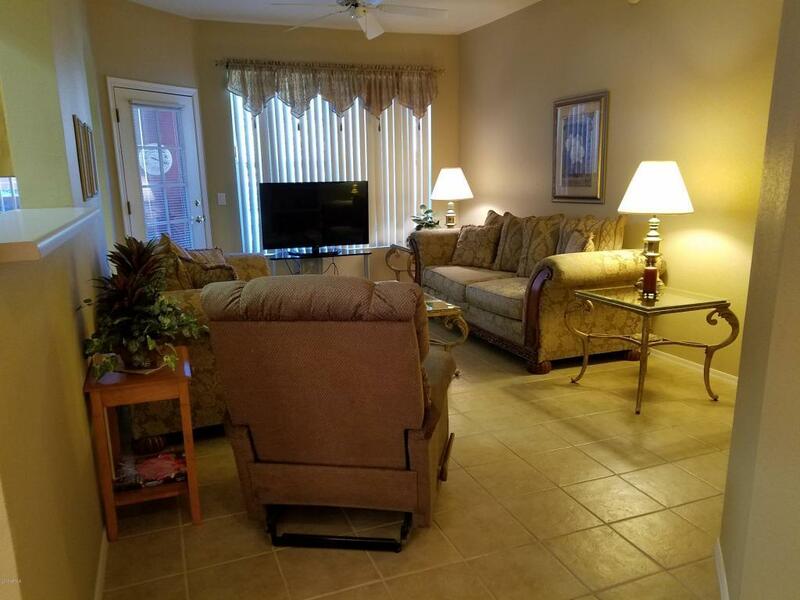 This 252 unit complex is within walking distance of restaurants, grocers, medical facilities and more. One covered parking space assigned to this unit (#190). Pet friendly and rentals are allowed. 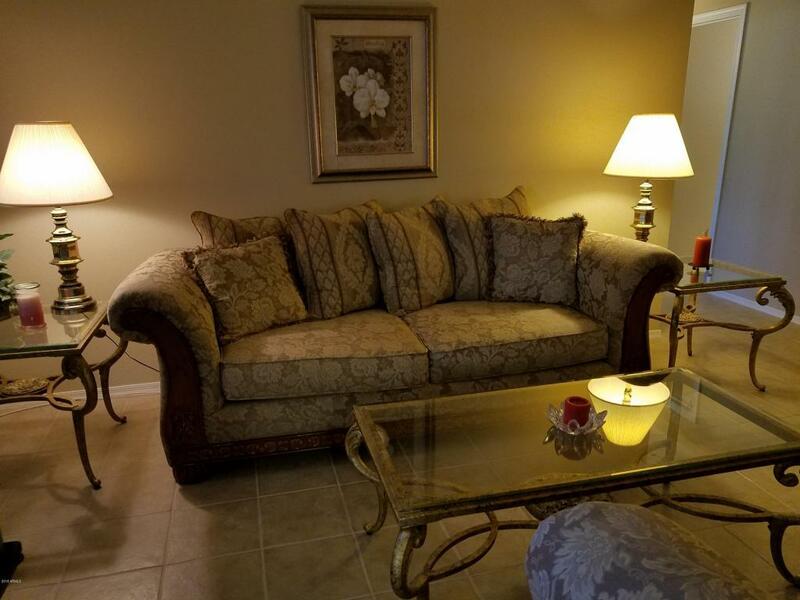 Don't miss this great ground floor unit. Steps to the clubhouse and pool/spa.